This is a part beagle part-walker hound. You do not need a pure bred dog to track with. 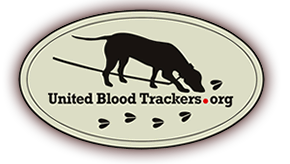 Many a great tracking dogs have come from unknown or mixed breeds. If the dog looks like it comes from a cross of working breeds do not be afraid to try it.